A supplementary bibliography (as time progresses) and a list of errors (as discovered) is available. Matlab code for generating discrete fractional Fourier transform matrix. Matlab code for fast computation of the fractional Fourier transform. Construction and Properties of Canonical Transforms (chapter 9 of K. B. Wolf, Integral Transforms in Science and Engineering, Plenum Press, New York, 1979). Dr YangQuan Chen's fractional Fourier transform page. David Mustard, obituary (source: web.maths.unsw.edu.au/~jim/mustard.htm). 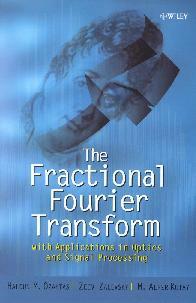 David Mustard made many important contributions to the theory of the fractional Fourier transform which we have documented in our book. He was kind enough to send me his difficult to obtain publications and some elegantly handwritten notes, and to comment on substantial parts of our manuscript and answer our questions. I learned about his illness as we were trying to finish the manuscript. My only consolation is that he was able to see the book as it went to print before his death, as his wife later informed me. Despite our limited interaction, I will remember him for his helpfulness and kindness. I realized how little I knew about him when I came across by chance the above obituary in January 2005. Little need be said of the importance and ubiquity of the ordinary Fourier transform in many areas of science and engineering. As a generalization of the ordinary Fourier transform, the fractional Fourier transform is only richer in theory and more flexible in applications--but not more costly in implementation. This book provides a comprehensive and widely accessible account of the transform covering both theory and applications. 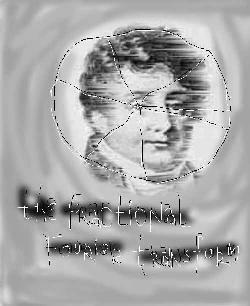 Properties and applications of the ordinary Fourier transform are special cases of those of the fractional Fourier transform. The ordinary frequency domain is a special case of the continuum of fractional Fourier domains, which are intimately related to time-frequency representations such as the Wigner distribution. In every area in which Fourier transforms and frequency-domain concepts are used, there exists the potential for generalization and improvement by using the fractional transform. So far applications of the transform have been studied mostly in the areas of optics and wave propagation, and signal analysis and processing. They include Fourier optics and optical information processing, beam propagation and spherical mirror resonators (lasers), optical systems and lens design, quantum optics, statistical optics, beam synthesis and shaping, optical and quantum wavefield reconstruction and phase retrieval, perspective projections, flexible and cost-effective time- or space-variant filtering with applications in signal and image restoration and reconstruction, signal extraction, signal and system synthesis, correlation, detection, pattern recognition, phase retrieval, radar, tomography, multiplexing, data compression, linear FM detection. study of time-frequency representations, differential equations, and harmonic motion. Many of these applications are discussed at length in this book. By consolidating knowledge on the transform and illustrating how it has been applied in diverse contexts, the book aims to make possible the discovery of new applications in other areas as well. The considerable amount of background material is an important feature of the book which is of interest in its own right, as self-contained expositions or by presenting certain less encountered perspectives and results. This material includes an introduction to time-frequency analysis emphasizing the Wigner distribution and ambiguity function, and canonical transforms. The chapters on optics complement introductory texts on Fourier optics, dealing with optical systems in phase space (the space-frequency plane) in terms of canonical transforms. Matrix algebra is employed in a unified manner for both wave and geometrical optical perspectives, leading to many important and fundamental results, such as those on general Fourier transform planes and optical invariants. - Of interest to graduate and senior undergraduate students, academicians, researchers, and professionals in branches of mathematics, science, and engineering where Fourier transforms and related concepts are used. A partial list of these areas is operator theory, harmonic analysis and integral transforms, linear algebra, group representation theory, phase-space methods, time- and space-frequency representations, transform theory and techniques, signal analysis and processing, wave propagation, and many areas of optics. - Unifies knowledge from the mathematics, optics, and signal processing literature in a manner accessible to a broad audience. - Includes a comprehensive bibliography. - Discussion of optics completely segregated for readers with no interest or background in optics. - May be used for self-study or in courses on the fractional Fourier transform and time-frequency analysis and their applications in optics and/or signal processing, advanced signal processing, advanced Fourier optics or information optics emphasizing phase-space concepts and the Wigner distribution. Ozaktas is the recipient of the 1998 ICO International Prize in Optics (jointly with D. Mendlovic) and the 1999 Scientific and Technical Research Council of Turkey Science Award for his contributions to the subject.